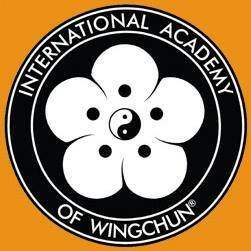 Hello, I am Sihing Lee Wilson, 3rd Technician grade, the Head Instructor of WingChun Maidstone. Our WingChun trains for every possibility that could possibly happen during a real defence situation. The simultaneous deployment and functioning of the hands, arms and legs are practiced within the framework of organized combat programs, even at the elementary level. The employment of the eyes and quick "reading" of the opponent is also a fundamental part of the WingChun lesson. Timely and exact perception is extremely important at the beginning of a defence situation, and thus in the first combat programs the WingChun student learns how to "read" specific attacks, right up to actual contact. Only in this way can the entire body function as one unit, and the WingChun fighter is then in a position to end a defence situation within a few seconds. You are welcome to come along for a free trial lesson and see for yourself that all WingChun is not the same! Classes are held every Friday 7:30pm at Maidstone Leisure Centre. if I hear of a place I'll let you know. I'll be putting an update on the Facebook page soon telling sifus around the world to showcase their schools on the site. I get a half dozen or more people asking for help finding a school near them each and every month! Instruction not so good. Not as it is said it will be. I gave itva few months and see it is mostly just talk.